Darwin International Airport is considered the gateway to Australia’s Northern Territory, a rich vacationland for both Australians and tourists throughout Asia. So, when the airport – among the top-ten in Australia – wanted to refresh its look and enhance its welcoming role to the region, it renovated all of its signage. The centerpiece of that effort is “The Wave,” a gorgeous, sinuous wave-shaped digital canvas created by NanoLumens, the industry-leading manufacturer and marketer of LED visualization solutions. The new NanoCurve solution is located above the baggage carousel in the airport’s Arrivals Area. It is immediately eye-catching, with a 6.6MM-pixel pitch running high-resolution full-motion video of the region’s attractions as well as passenger information across a 4.3-meter width and 1.4 meter high wave-shaped solution that evokes the feel of the region’s famous natural features. “The concept came from airport consultant Jeremy Corfield, a partner at CPI, as part of a plan to refresh the digital signage at the airport,” explained Gerry Thorley, Director at Digital Place Solutions. 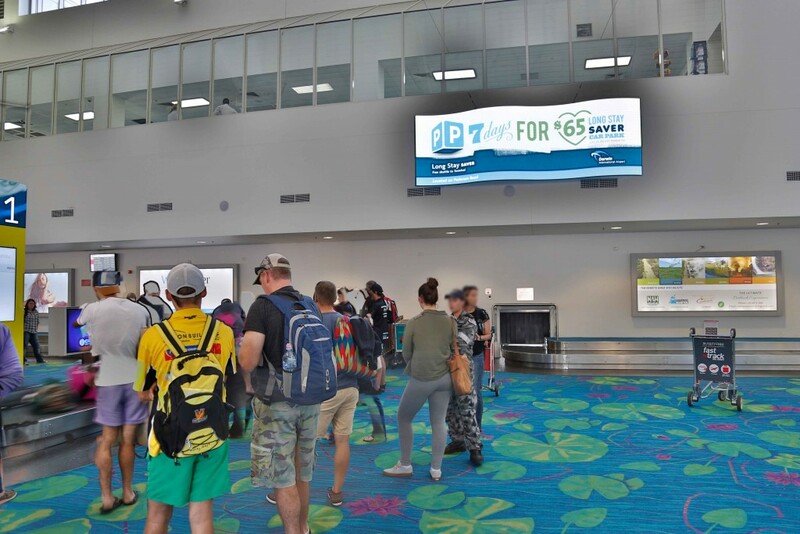 “Darwin Airport wanted to include a display in the baggage collection area to promote the city and region, and this location would offer good dwell time for arriving passengers to be informed about Darwin and the region. The NanoLumens solution was intended as the welcome sign travelers first see as they prepare to head into the region. The NanoLumens solution was recommended by Digital Place Solutions (DPS). NanoLumens offered the best solution, providing superior brightness, high resolution, extreme clarity and other technical features in exactly the form factor the project’s esthetic required. 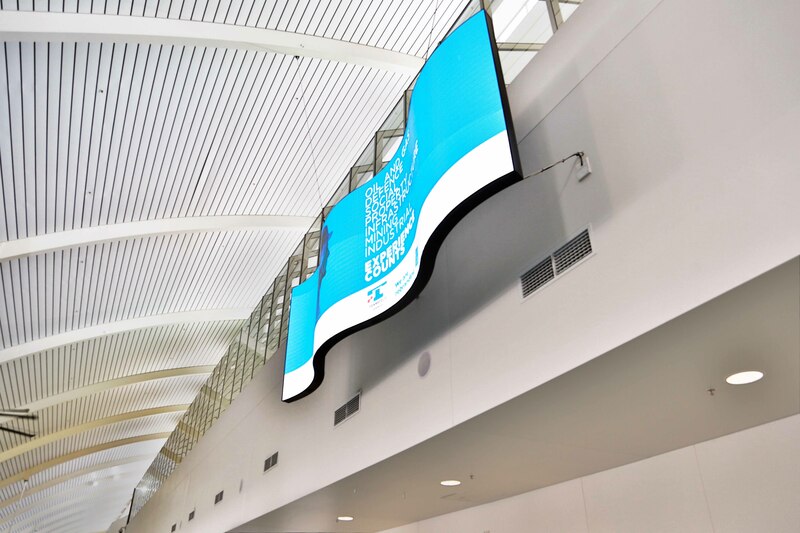 The display solution was recommended by Digital Place Solutions and the display installation was undertaken for the airport authority by Innovateq.